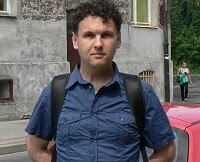 The Investigative Committee of Karelia has charged Maksim Efimov (Yefimov), the author of the article “Karelia is tired of priests”, with inciting hatred, as well as denigrating the dignity of religious believers (Article 282, Section 1, of the Criminal Code of the Russian Federation). Efimov has informed Agora Human Rights Association, which is providing his legal representation, of this development. Meanwhile, Efimov’s defence counsel had already demanded in September that his criminal prosecution be terminated due to the lack of any legally defined crime in his activities. Experts came to the unambiguous conclusion that the blogger’s criticism was aimed at the Russian Orthodox Church as an institution, but not at Orthodox believers themselves. Lawyers Ramil Akhmetgaliev and Olga Rybalova have called attention to the fact that no pre-trial restrictions were placed on their client previously. The activist himself is now in Estonia. The leader of the Karelia branch of the Youth Human Rights Group, Maksim Efimov was granted political asylum in Estonia earlier this year.